Almost 90% of Americans who use the internet have gone online to search for health information. Next to their doctor, Americans depend on the internet more than any other source for health information. And the type of website visited depends on the stage of the health condition. The MARS Online Behavior Study was recently released and provides a wealth of information about how consumers use the internet as a health resource. The study conducted by Kantar Media reveals that consumers use health information sites more than search engines across all stages of the 40 ailments covered in the study. And the sites most visited are those that offer helpful tools or connect them to a larger community of people with the same condition. Sites that offer access to medical professionals are also generally preferred. Of the 178 million Americans who go online monthly, 89% have used the internet for health research with the typical user being females under the age of 50. The primary reason for going online is to gain general information about a condition (71%) followed by researching specific symptoms (59%). 56% stated a healthcare professional recommendation makes a site trustworthy followed by 46% who cited inclusion of academic articles or scientific research. 79% believe the internet is very helpful in providing health and wellness information but 74% were very cautious about which sites to access. For those recently diagnosed with a condition, 77% say they turn to the internet for information second only to 81% who depend on a healthcare professional. 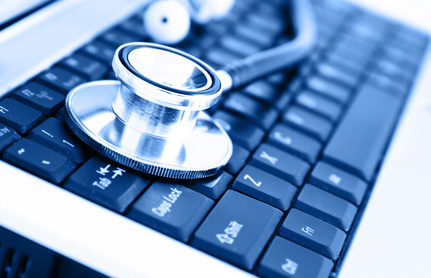 It’s obvious, and no surprise, that the internet is a major source of healthcare information. For healthcare marketers, the challenge is to discover how to tap into this behavior and become a viable source or clearinghouse for Americans who rely heavily on the internet for health information.